Best Gamepad for SNES Emulator? Re: Best Gamepad for SNES Emulator? Never had a problem with the SNES pad myself. Not the greatest pad ever created but it did the job. When I suggested that the OP get a Super RetroPort I was assuming that they were looking for as close to the SNES experience as you can get without actually playing a SNES. I've always found the original PS1 digital pad an adequate substitute for SNES emulation as the button layout transfers well. PS1 USB adapters are a dime a dozen. Failing that one of the many PC clones. I have a Logic 2 PC clone but the dpad is terrible on it. Excellent point re: using a PS1 pad wih a USB adaptor as that'd surely work rather well as a SNES pad substitute. Also, if the OP has a PS3 and his PC/Mac has Bluetooth he could always use his Sixaxis or DualShock 3 pad wirelessly with his PC/Mac to play games wirelessly. 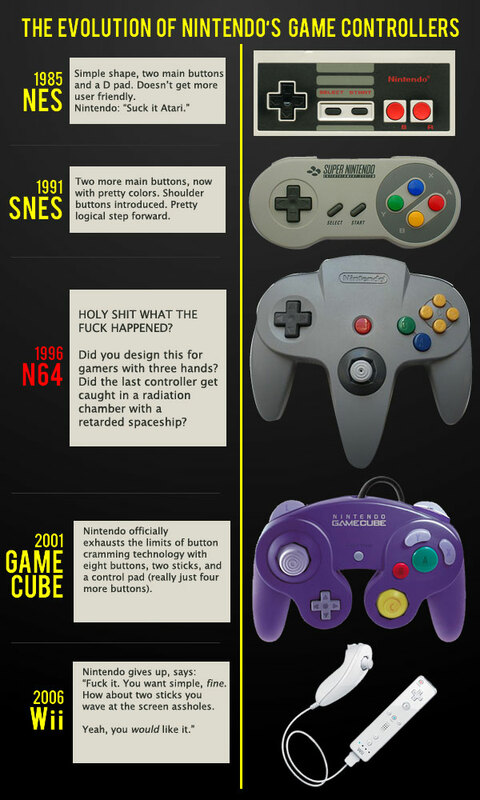 DreamcastRIP wrote: It depends on whether the OP thinks the SNES pad is worth bothering with. I'd say buy another brand USB pad instead tbh given how poor the SNES pad is. Huzah.Someone else, who like myself thinks the Snes pad...not all that!. Never understood the 'love' it or the G.C pad get. I trust that this pic will amuse you as much as it did me! I used to use a PS2 controller with a USB convertor I bought on the website consoles and gadgets. It worked without any trouble on two PCs I had. I don't think there's been a control pad I've never really liked. But then, I hated joysticks, which makes me a leper around here! !